Happy Valentine's Day! "˜Tis moi, Miss Piggy! 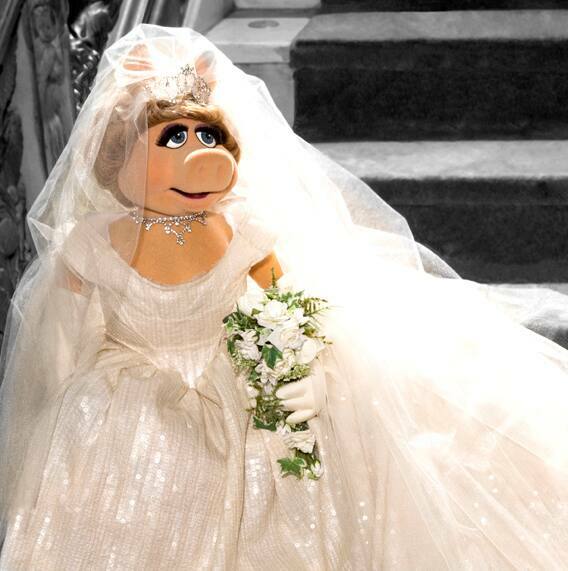 I'm here to announce my new Miss Piggy Bridal blog (<- Is that a real word? Sounds gross. - MP), which will appear exclusively here at DisneyWeddings.com! Isn't this thrilling: getting marriage advice from a major star and diva!? Aren't you glad you decided to get married? But why, you ask, would moi write about getting married? The answer is simple: No one in the history of the world has spent more time planning for their wedding than yours truly. I am an expert on every aspect of tying the knot "“the ring, the engagement, the bridal shower, the bachelorette bash, registering for gifts, choosing "the dress", the wedding itself and"¦oh yes, even the groom. Now, I am here--exclusively at DisneyWeddings.com"”to share everything I know about weddings with vous. Yes, you'll get it all -- except the frog "“ simply by checking in here for moi's priceless insights on getting married, looking fabulous and being the diva you were born to be! PS: Want to see more of "the dress" designed exclusively for moi by legendary haute couturier, and my close personal friend, VIVIENNE WESTWOOD? 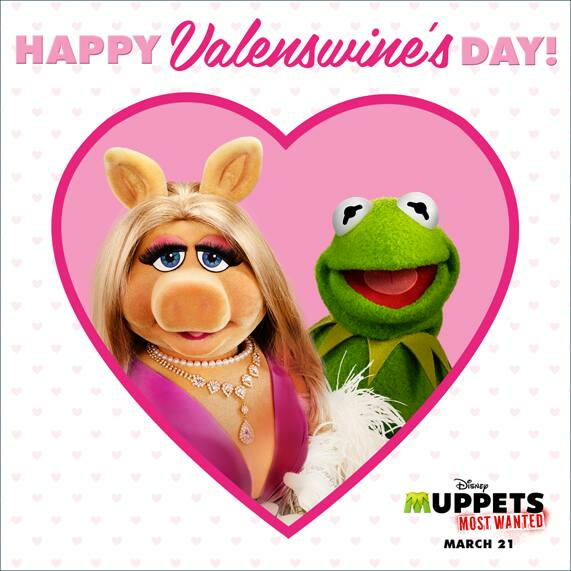 Then you"”and your entire wedding party"”simply must see my new motion picture, Muppets Most Wanted, in theaters March 21st. (May I suggest: rehearsal dinner and a movie?) Everything about this dress is perfect, from the corset detailing and paillettes to the exquisite ivory tulle veil. The only iffy thing is the frog. Will moi's wedding finally happen? Come see for yourself! Happy Wedding!